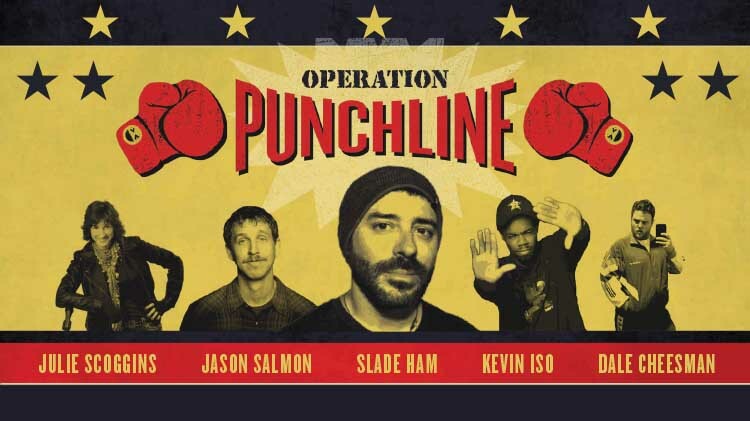 Date: Nov 13 2018, 6:30 p.m. - 8 p.m.
Get ready to laugh until it hurts at the Operation Punchline comedy show presented by Armed Forces Entertainment. Bring your family and Friends 18 and older and enjoy 5 amazing comedians flooding the Patch Community Club with hilarious jokes for 90 minutes. Fried food will be available for purchase at the Ballroom Bar from 6 - 8 p.m. Beverages available for purchase at the Ballroom Bar from 4 - 11 p.m. The Backlot Bar will open at 8 p.m.